Copenhagen, September 25, 2018 – 3Shape TRIOS intraoral scanner receives 2018 Cellerant “Best of Class” Award for intraoral scanners. This marks a record-breaking six years in a row that 3Shape TRIOS wins the Best of Class” award in the digital impression solution category. 3Shape TRIOS is the world’s first and only wireless intraoral scanner. The digital impression solution is recognized for its documented accuracy, scanning speeds and ease of use. TRIOS provides professionals with an unrivalled and open ecosystem of workflow and partner-integrations with orthodontic, implant-makers, practice management and sleep treatment providers, as well as open and trusted manufacturing options with 3D printers and milling machines. 3Shape TRIOS helps doctors to excite their patients by bringing digital dental impressions and treatments to life. 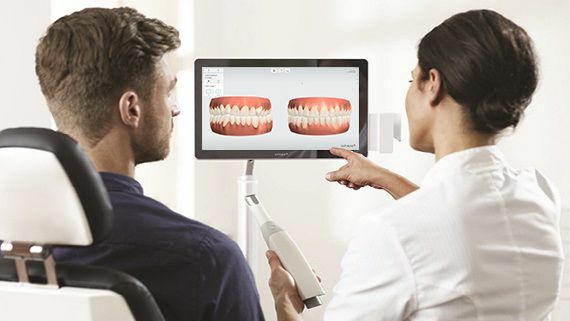 The intraoral scanner is supported by an ever-growing number of patient-excitement apps like, 3Shape Smile Design, Treatment Simulator, TRIOS Patient Monitoring* and more. “What makes the Cellerant “Best of Class” award so special is that the winners are chosen by a panel of doctors and industry professionals. That means recipients need to demonstrate real and measurable benefits to practitioners as well as bringing outstanding value to the practice. We are very proud that the panel has recognized 3Shape TRIOS, now for the sixth straight year in a row,” says Tais Clausen, 3Shape Co-CEO and Co-founder.